For the educated intellectual class, the year 2015 suddenly became a year of rising change in the climate of intolerance, in an otherwise tolerant country. Creation of intolerance in tolerant India seems to be a secret, deep-rooted plan by a handful of conspirators to provoke eminent writers and other artists to return awards. They received the support of eminent film makers, stars, artist, historians, scientist and others. The reason cited – The lynching of a Muslim at his residence, supposedly, by an irate mob, based on the rumour of beef eating at a village near Dadri, UP. Other reasons include the murder ofintellectual and nationalistShri M. Kalburgi in Karnataka and murders of rationalists Shri Govind Pansare and Shri Dabholaker in Maharastra. Many people question as to why these eminent writers did not react when emergency was imposed, Sikhs were massacred and Kashmiri Pandits were compelled to leave the land of their ancestors and many other incidents of violence. Was their intention to defame the ruling establishment? As an enlightened Indian citizen, I thought it worthwhile to work on the subject in great detail and trace the path of tolerance and intolerance from ancient India till the twenty first century. 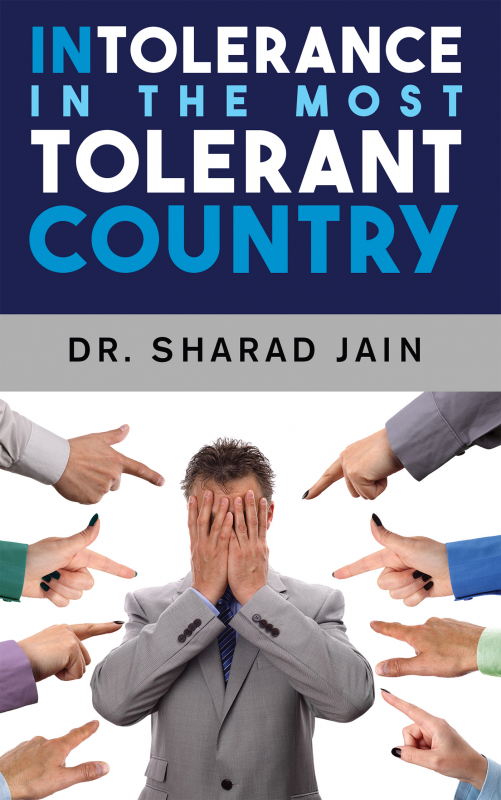 Dr. Sharad Jain did his D Phil in Economics from the Allahabad University and Post - Doctoral from the University of Illinois, Urbana - USA. He joined the Asian Development Bank in 1971. He served as a Project Economist, Consultant and Team Leader at Manila and other countries like Indonesia, Vietnam, Cambodia, Malaysia, Burma, Nepal and some of the South Pacific countries like Western Samoa, Tonga, Solomon Island, Fiji and Marshall Island. He returned to India in 1990. In the same year, he was appointed as the Chairman of the Narmada Valley Development Authority to guide the work on the construction of Indira Sagar and the Omkareshwar Multipurpose Project. He also worked on the rehabilitation and resettlement of Sardar Sarovar Dam (Gujarat) outsees from 193 villages in Madhya Pradesh. He was appointed as the National Coordinator of Economic Activity Cell, by the Bhartiya Janta Party in New Delhi from 2003 to 2005. He is the author of 24 books and several research papers and articles published in renowned journals and newspapers.